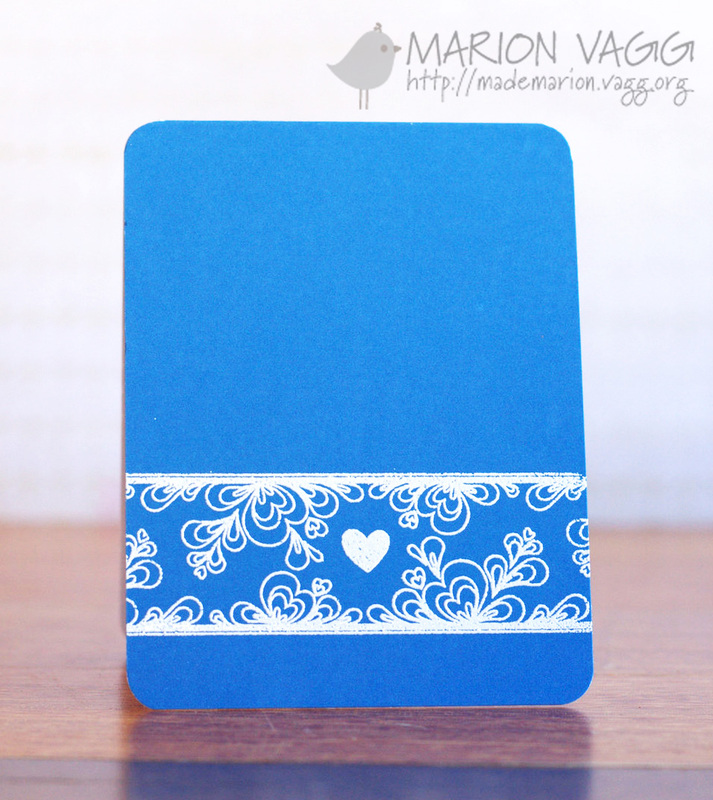 Marion's card for Muse this week is so pretty that I found it difficult not to just remake it! I tried several different options, and ended up with this clean, graphic and playful card by using similar colours, the heart element (Simon Says Stamp heart dies) and my Creative Memories curvy cutter (retired). 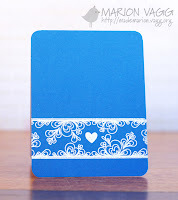 I skipped the heat embossing (I can never get my white embossing that clean!) and used negative cuts instead. There's still time for you to play along - the deadline is Monday at 8 am EST. At that time you can vote for your 3 favourites until Tuesday morning at 8. Voting results will be posted on Tuesday at noon. Hope to see you there! Terrifically graphic, as usual, Ardyth. I admire the way you can take a design and turn it entirely into your own style. You get right to the heart of the matter. I love it Ardyth! Great interpretation of my card :) And I too own that Creative Memories curvy cutter! I haven't used mine in years! Ardyth, this is Shut The Front Door! awesome!!! This is graphic and wonderful. And, I have that Creative Memories curvy cutter. Never occurred to me to actually USE it! It looks modern and in style again. Just love this graphic take on the Muse! An unusual, but very beautiful card. Great color and many significant two hearts. Beautiful card. Great take! The two curved sections of blue are perfect. Just when I thought you could never top the 'friend' card...you post this stunning display of simplicity, that flows effortlessly across the page! So simple ... yet so perfect ... adore this. I adore your simplicity my friend!!! !